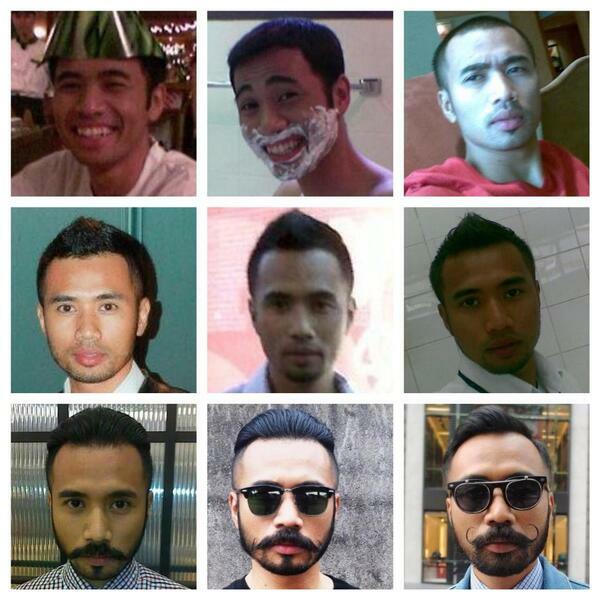 You may seen Wak Doyok sporting his curled moustache and preppy outfits. Or at least have heard of his peculiar name on time or another. That’s Wak Doyok’s trademark style. His fashion sense was crafted for social media, like many Malaysians who tried to be Instagram-famous. Today, he has 1.6 million followers, his own line of products, and appearances in the big screen. He is even considered by some to be a trend-setting fashion icon. In other words, more than Instagram-famous. How in the fashion world did he succeed where others have failed? To begin with, his origins of doing odd jobs in 2010 truly is as humble as anyone’s back story. That did not stop him from starting an Instagram account. He owed it to the timing of it all, as he rode the wave of the exploding popularity of the image-based social media at that time. Coupled with the fact that the look he put on stood out; posing with his friends in the style loosely considered to be mod culture. Post after post of gentlemen’s fashion, well-groomed face and hair, with the occasional bicycle and motorbike as props. In five years, he gained almost a million followers. Rather successful for someone whose entire image is allegedly less than authentic. Even his own pseudonym is made up, as his real name is Mohd Azwan Md Nor. All part of creating a certain character, as he admitted in interviews that he learned from tutorials. What Wak Doyok intended to be an education in fashion, many thought was just satire. That it was all a big irony that someone from his background would groom and dress himself that way. However, he credited his success to haters. In his words, they provided him “free advertising”. It appears that those who mocked him and his “poyo” pictures only gave him more publicity. For example, the he responded to a critic with an epic comeback. Yup, haters gonna hate. And Wak Doyok’s gonna keep pressing on. Not satisfied with just magazine appearances and interviews, he took his personal brand a step further. He started his own product line called Legasi Wak Doyok, which carries beard creams, pomade, and even coffee. You, too, can groom your facial hair like he does. Since then, he has appeared in many TV commercials, and on Astro’s popular comedy show Raja Lawak. He’s even a co-host of a travel show Ke Indonesia Ke Kita? This year, he will grace the silver screen by starring in Abang Long Fadil 2, a story of suits, sunnies, and secret agents. A ‘suit’-able cast, if you ask me. Now that he’s a movie star, his fame is unstoppable. Achieving a multi-hyphenated title seven years later, Wak Doyok remains true to his Instagram roots. There’s still a new preppy pose every day. What do you think about Wak Doyok? Love him or hate him?